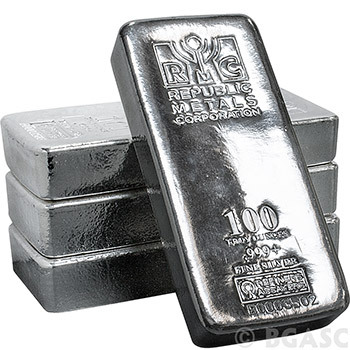 The Republic Metals 100 troy ounce silver bullion bar is cast using COMEX registered .999+ fine silver, refined and manufactured completely on-site at the Republic Metals facility in Miami, FL. 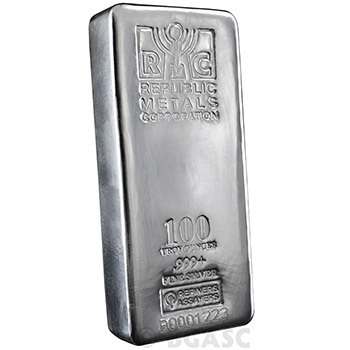 Each RMC 100 oz silver bar is adorned with the Republic Metals Corporation logo, purity, weight, and a unique identifying serial number. 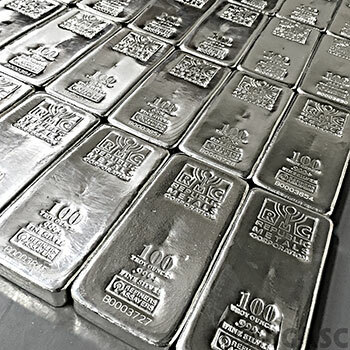 The thick, rectangular shape of these silver bars make them perfect for efficient silver stacking, and the smooth finish is pleasing both to the eye and the touch. Republic Metals guarantees the weight and fineness of their products without exception and their entire line of fine silver products are eligible for holding within Individual Retirement Accounts (IRA). Republic Metals Corporation (RMC) is one of the largest and most technologically advanced precious metals refiners in North America. Since its founding in 1980, Republic Metals has displayed excellence in precious metals refining in a manner that is considered environmentally friendly, as demonstrated through its long-standing ISO14001 registration. Republic Metals, an ISO 9001: 2008 registered company, holds listings on the LBMA, COMEX, and SGE with recognitions for responsible business practices from the Responsible Jewellery Council, Conflict Free Smelter Initiative, and Ethical Alliance. 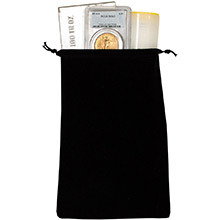 RMC has maintained a spotless reputation over the years and has become one of the top brand names to trust in the precious metals investment product business. If you have any questions about these 100 oz Cast Silver RMC Bars or the purchasing process, feel free to call us toll-free and one of our friendly, knowledgeable representatives will be happy to assist you.